Sixteen-year-old Starr Carter moves between two worlds: the poor neighborhood where she lives and the fancy suburban prep school she attends. The uneasy balance between these worlds is shattered when Starr witnesses the fatal shooting of her childhood best friend Khalil at the hands of a police officer. Khalil was unarmed.Soon afterward, his death is a national headline. Some are calling him a thug, maybe even a drug dealer and a gangbanger. Protesters are taking to the streets in Khalil's name. Some cops and the local drug lord try to intimidate Starr and her family. What everyone wants to know is: what really went down that night? And the only person alive who can answer that is Starr.But what Starr does or does not say could upend her community. It could also endanger her life. The Hate U Give ignited something the moment it hit shelves. It sparked conversation. It got the youth talking. It got adults talking. It got youth and adults conversing together. The Hate U Give needs to be on every school's reading syllabus. It needs to be on the shelves of every public library. It needs to be printed in all languages so it can be shared throughout the world. Angie Thomas created a character that will stand out so strongly among any other character you've ever come across. Starr Carter starts off as your average, fun-loving teenager that lives in 2 different worlds. Everything changes the night she witnesses the murder of her childhood best friend by a cop. Starr's world is then turned upside down and she gets lost in the midst. Questioning the world she lives in the, who she is and where she belongs, we are taken on Starr's journey through grief, anger and growth. Heartbreaking. So very heartbreaking yet so relevant. Thomas' writing will strip you down to your core and get your own conversations swirling in your head. However, it does not come off preachy or soap-boxey. It comes off so very real. She penned such a diverse cast of characters. Each one standing out on their very own. Each one offering so much to the story being told. In fact, it is a very character driven novel. The character really put this story together. 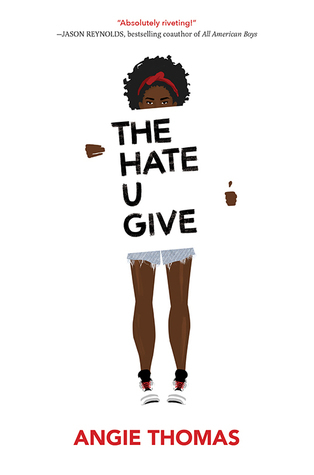 The Hate U Give teaches us about fear and how to overcome it. How to dive into the dark abyss of the unknown because you know it is the right thing to do. It teaches you to use the most powerful tool you possess: Your voice. Angie Thomas used her tool, her voice to it's maximum. She got people talking and in my opinion, that has to be the highest compliment as an author. I hope she is very proud of herself because The Hate U Give is a game changer in YA literature. Thank you, Angie Thomas! There have been some outstanding Authors that have burst into the YA scene with a bang! 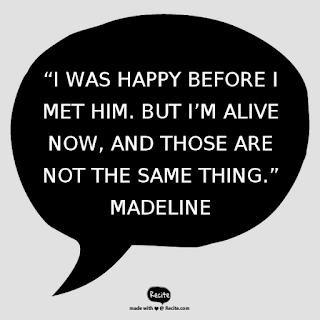 Both male and female YA authors that have tested the boundaries, made us think, made us question and wonder. These authors have proven to us time and time again that we are not alone. There is something so special about the Young Adult Book genre, the stories, the readers and the authors...It's kind of magical! Today, I want to the spotlight just a fraction of the Female Authors that have impacted the many lives of its readers. Ruta Sepetys: With books like Between Shades of Gray, Out of the Easy and Salt to the Sea under her belt, she has proven herself a force to be reckoned with. She tackles the tough and the uneasy. She brings to life characters the nest themselves into our hearts. She shines light on pieces of history to educate her readers but to also instill in us more knowledge of that era. 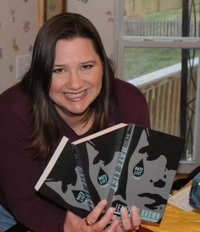 Her passion and love for not only the YA genre but for writing radiates off of the pages. She is truly a rare gem of an author. Jennifer Brown: Hate List, Thousand Words and Bitter End are just a few of the books that Brown has given us the pleasure of reading. She is not afraid to step out of the "norm" and bring to us true stories. Her characters may be fictional but she brings forward the stories of many, many youth. She tackles bullying, the repercussions of teen sexting, domestic violence in a youth relationship, the list goes on. Her fearlessness as an author is truly inspiring! Rainbow Rowell: I have yet to come across an author that is like Rainbow Rowell. She stands out among the rest. Her fictional characters become friends to us. She has the precious gift at making her characters not only lovable but relatable. We see so much of us in each character. Her writing is a simple style yet is so bold and memorable. She is witty, quirky and absolutely one of a kind! Jandy Nelson: Jandy Nelson captured the hearts of her readers every since The Sky is Everywhere and has yet to release them. One of my most favourite books is I'll Give you the Sun. It's so rare that you come across an author that leaves you in awe. Calling her an author doesn't seem to do her justice. She is an artist. She preciously crafts characters and places them in a world were we can slip away and befriend these beautiful people. She cracks our hearts wide open and makes us feel so deeply. Reading Jandy Nelson will always leave you with a wonderful and memorable reading experience. 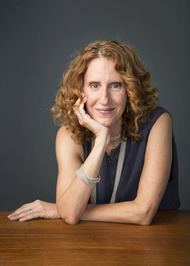 Gayle Forman: Gayle was one of the first authors that had me really feel and react to the lives of a books characters. Back when I first read If I Stay I was just coming out of the paranormal craze and haven't read much that didn't involve a vampire, werewolf, damsel in distress, etc. She was one of the first authors that showed me the true beauty in feeling. In being hurt and reading through tears. She taught me that you can experience true love in Just One Day. She shows her readers that there is love, loss and love again. Courtney Summers: Summers had her first book published had the age of 22 and it then became the winner of the 2009 Cybil Award for YA. How outstanding is that? With books like Fall for Anything, All the Rage and Some Girls Summers shows us that we are not alone. Whatever we may be suffering with, she brings to live characters that we can relate to and befriend. She shows us that there is someone out there that gets us and that will bring our story to life. She has the ability to make us feel every possible emotion that there is. A true author in every sense of the word! J.K. Rowling: You mention the name J.K. Rowling to anyone in any part of the world and they will know who you are speaking of. J.K. Rowling changed the game when it came to children's literature. She crafted characters that are still castings their spells over readers. There is no coming back from the Harry Potter Series. You go in it one version of yourself and come out a whole different person. She took the world of Fantasy and turned it on it's head; changing the perspective entirely. She continues to teach the young and old alike what true magic is. The magic lies within yourself and in the friends and support around you. The world has never been the same since Harry Potter entered it. I wouldn't want to live in a where Harry Potter didn't exist. Suzanne Collins: Suzanne Collins challenged the YA scene with her epic series The Hunger Games. Her series was met with controversy but that never once detered it's readers from falling in love with it. She fearlessly created a world that wasn't magical, not enchanting but terrifying. But admist all of the ugliness, Collins still showed us the hope and love will always rise above. Ellen Hopkins: Crank, Glass and Fallout are just a fraction of the books that Ellen Hopkins has living on our shelves. Whether you've read her or not, you've heard of her. 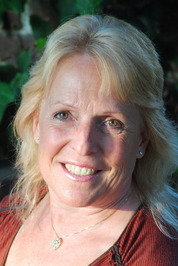 Ellen Hopkins has taken us down the road of drugs, addiction, prostitution and more. She gives us a glimpse into the very harsh realities that too many youth are faced with. There are moments during her books that you may cringe but that is such a noteworthy quality in my opinion. Hopkins makes you feel, she makes you react. She doesn't hid and tells no secrets. Everything is the bitter truth when it comes to her writing. Stephanie Meyer: How can I make a list of breakthrough Female Ya authors without mentioning Stephanie Meyer?! Whether you love them or hate them, Meyer's catapulted into the scene with her Paranormal series, Twilight. She ignited a romantic flame into every pre-teen and teen out there. Not only did she put popularize the paranormal genre, but she gave her young readers there first real taste of true romance. And teens were not the only ones falling in love and fueding with fellow Team Edward or Team Jacob lovers, adults were all about this series as well. She united the book scene. She brought readers of all different ages into the same community. She gave us a common groud with fellow readers. If you read Twilight, you were a friend. These are just a few of the authors that added their bricks to the beautiful path of female authors and YA literature! Ok, y'all. Can someone explain to me why the hell I waited so long to read this book? Like, seriously?! I have a 'Read before I Watch' rule, If any book is hitting the big screen and it's a movie I want to see, then I want to read it before I see it. The minute I heard all the fuss over Everything, Everything, I knew I had to my hands on it. Now, fast forward 2 hours when I completed this lovely, adorable(and every other positive adjective) story. Each aspect of this novel was so strong. The grand characters: Madeline, Olly, Carla and her mother. The picturesque world that Yoon described throughout the entire novel, from Madeline's white room to the beautiful islands of Hawaii. And then the little doodles that graced the pages throughout the books entirety. Speaking of those doodles, I saw Nicola Yoon on The Social(a Canadian Talk Show program) and she mentioned that her husband is the artist behind the book cover, the doodles and the movie poster, so big kudos to Mr. Yoon! Everything, Everything reminded me a lot of one of my favourite film's, Penelope(minus the curse and the pig's nose) but more so for the seclusion and the boy who breaks the spell. In it's own way, Everything, Everything is a perfect fairytale. It's not so much that Boy-Saves-Girl but more so Boy-Shows-Girl-Her-Grand-Potential. Boy-awakens-girl. Madeline held the power all along but Olly ignited the flame. LOVE! 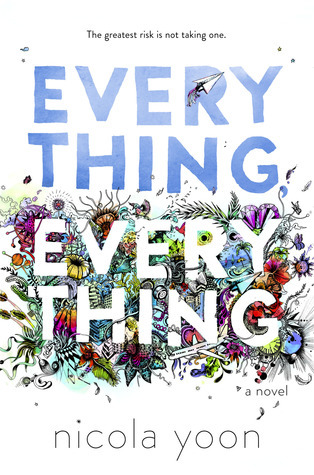 Everything, Everything is so much more than your "average" young adult love story. It is a coming of age novel. A girl shedding her skin and learning about herself and who she wants to become. It is about a mother and her relationship with her daughter. The unbreakable bond between parent and child. And it is also about those other meaningful relationships you have with people in your lives. In Madeline's case, Carla. A vibrant character that helped polish Madeline into the beautiful gem that she is. If you haven't read this novel yet, then what are you waiting for? Don't be fool like me and put it off any longer. There is truly so much beauty in Everything, Everything. Confronted by a restraining order and the threat of a lawsuit, failed journalist Leah Stevens needs to get out of Boston when she runs into an old friend, Emmy Grey, who has just left a troubled relationship. Emmy proposes they move to rural Pennsylvania, where Leah can get a teaching position and both women can start again. 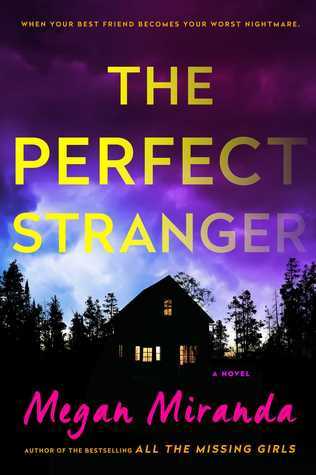 But their new start is threatened when a woman with an eerie resemblance to Leah is assaulted by the lake, and Emmy disappears days later.Determined to find Emmy, Leah cooperates with Kyle Donovan, a handsome young police officer on the case. As they investigate her friend’s life for clues, Leah begins to wonder: did she ever really know Emmy at all? With no friends, family, or a digital footprint, the police begin to suspect that there is no Emmy Grey. Soon Leah’s credibility is at stake, and she is forced to revisit her past: the article that ruined her career. 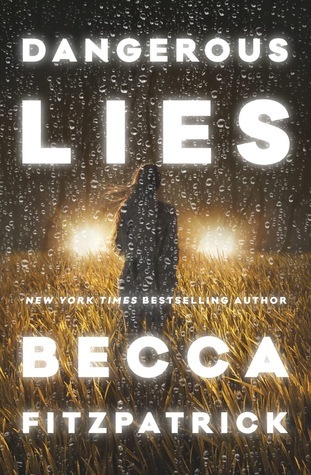 To save herself, Leah must uncover the truth about Emmy Grey—and along the way, confront her old demons, find out who she can really trust, and clear her own name.Everyone in this rural Pennsylvanian town has something to hide—including Leah herself. How do you uncover the truth when you are busy hiding your own? I have been delving out of my reading comfort zone and trying different genres I don't typically read. Lately, I have been really interested in the Mystery and Thriller genre. Is there anything better than a book causing a chill up your spine or goosebumps to rise from your skin? The Perfect Stranger did all of that and more! This is my first book by Megan Miranda but I have already gone out and purchased 2 of her previous books: Fracture and Eleven Minutes. Miranda has a true talent for storytelling! Crafting in-depth characters and penning a visual setting that made this book even more addicting and even harder to put down. This book is being called the follow-up to All the Missing Girls. I have not read this book so do not know if it carries any similarities or if it's just the author's most recent work. But if it does, I can assure you that The Perfect Stranger stands strong as a stand alone. There were no moments where I was left lost or confused in any way! I really liked Leah Stevens and thought she was a wonderful main character. I've noticed there is a bit of a love/hate relationship with her and other readers, but I for one, loved her! What I've come to love is a good whodunnit kind of story and The Perfect Stranger definitely quenched by thirst when it came to that! I was flying through the pages dying to get answers to the questions that were popping up in my mind. Megan Miranda delivered an addictive mystery that had me on the edge of my seat from beginning to end. I can't wait to dive into her previous and future work! She does not belong in Thunder Basin, Nebraska. As the star witness in a murder trial against a drug dealer, Stella is now in the Witness Protection Program. The small-town locals can never know who she really is. Not even Chet Falconer, the one boy who makes her want to reveal her true self. She knows that telling the truth will only bring violence to this safe haven. Despite how hard Stella tries to stay under the radar, danger is fast approaching. Criminals have a way of getting rid of witnesses, and Stella may have made the one mistake that could lead the cold-blooded men hunting for her right to her doorstep. As crazy bookworms yourselves, you know that we accumulate more books than we read. Because of this I will put myself on a 'book buying ban' from time to time...honestly, it usually ends up in complete failure. That is how Dangerous Lies came in my possession. I frequent the gym every day, but my gym is attached to a mall, so I just walk through the mall every day to get to said gym. They always have their hottest reads displayed and EVERY DAY I would walk by Dangerous Lies. It's cover beckoning me and it's enticing premise intriguing me But, I resisted and would walk away. This lasted a week! A week of pure torture! Finally, it was a gloomy, rainy Friday and while walking to the gym I plucked the book up and carried it with a smile to the cashier. Self control be damned! With all this anticipation and temptation I had high expectations for Dangerous Lies. I was nervous that that week of pure torture wouldn't pay off. Well, that was a foolish thought! Dangerous Lies was everything I hoped it would be and so much more! From the very beginning you're thrust right into the middle of Stella's life being turned upside down. Imagine being ripped away from everything you know and being uprooted to someplace new all alone. No friends, no family and scared for your life. Becca Fitzpatrick did a tremendous job at illustrating Stella's anger and isolation. It radiated off of the pages. You're immediately drawn to Stella and develop an almost protective-like relationship with her. Her relationship with Carmina, her new guardian, a retired cop from the Midwest with a strong faith, begins turbulent. Stella taking out her anger on anyone around her. But, after some time and some strong rules of Carmina's, Stella begins to settle into the small Midwestern town and slowly develops a routine. Enter Chet, SWOON! Chet's character reminded me so much of Garrett Hedlund from Georgia Rule. This couldn't have just been me?! He was charming and caring but a little sad behind the eyes. Chet comes with a background story that will leave you reaching for the tissues. Watching Chet's and Stella's friendship blossom was such a sweet treat. The funny insults and tender moments left you falling in love with them. Dangerous Lies comes with a lot of thrilling suspense. It is not your average YA novel. It packs a lot of punch and will leave you on the edge of your seat. I found myself wanting to savour the novel, taking my time, but that was impossible because I was flying through the pages utterly devouring it. Dying to know how this story ends! I am so happy I broke my book buying ban for this one. Totally worth it!